The Rueda appellation is located in Valladolid, with vineyards on both sides of the river Duero. 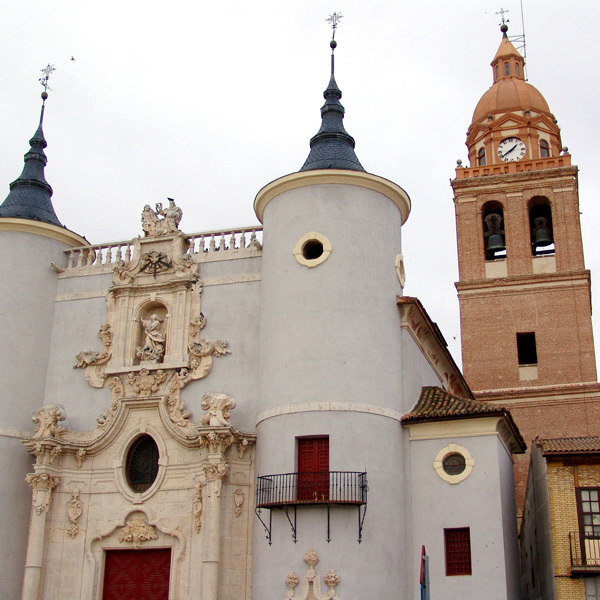 An area famous for producing white wines, laying resiliently between the two red wine regions of Toro and Ribera. The area is also known as Tierra de Pinares (Land of Pine trees) due to the large pine forests growing alongside the large fields of cereal crops. The soils and climate make this region an excellent location for the grape variety of Verdejo:; the vines of which make up most of the vineyards in this region. Since the 11th century, vine growing and wine- making has influenced culture, art, food and the character of this appellation. The regulatory council of this Denominación de Origen (D.O.) was created in 1980; the first D.O. in Castilla y Leon. The beautifully crafted wines of this region have become acknowledged worldwide for their elegant aromatics and intense fresh acidity, fruit and minerality. The Rueda Wine Tour is formed by 13 towns and almost 50 wineries, enabling visitors to discover the richness of its landscape, cultural and cuisine. Along this route, visitors can enjoy its rich historical heritage with old temples, monasteries and castles such as Medina del Campo.